Haas' adoption journey: The Best things in Life are not things! 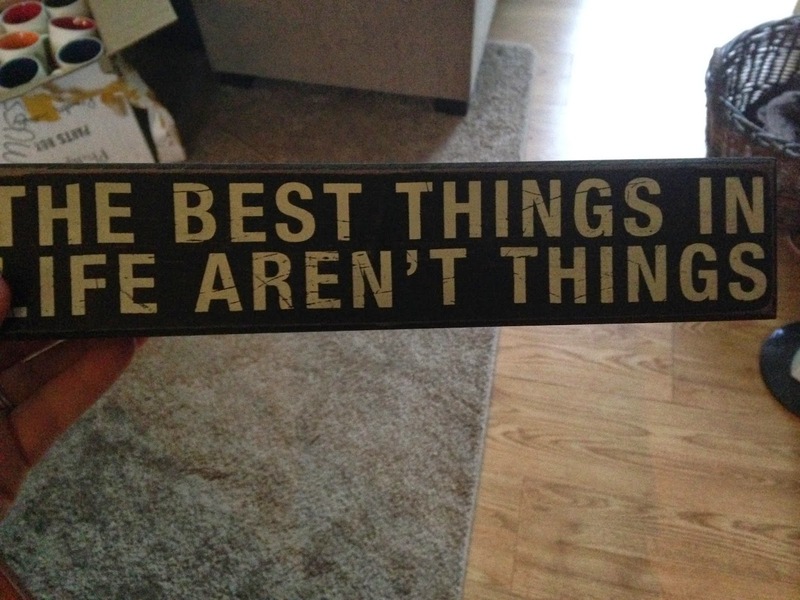 The Best things in Life are not things! Today has been an emotional day. Well just frustration really with life, and systems that don't work in the time that they should. But, God is moving in my heart in a major way. How you ask? Well sit back and I will tell you a little tale. For the past 9 years Dan and I have traveled all around and one thing we pick up at each location is a Starbucks City mug. I know, big deal right? Well, the last 4 years the Lord has been tugging at my heart to make sure I check why I feel I need the mugs. We had about 20 mugs of the Architecture series and a few years back while in Florida the Lord pushed in my heart asking, " are these an IDOL?". My response, NO WAY! But, God continued to tug at my heart and I said, ok I will put up the mugs on Ebay and give the money to missions. I even had the missionaries in mind. My heart wasn't right. They didn't sell. I lowered the price, and they again didn't sell. I tried it one more time at an even lower price and once again they didn't sell. I thought, Lord, what is going on? So the last thanksgiving we had at our house in Germany, I laid them all out and told each of the guests to take what they wanted. OUCH! It was really freeing actually. Over the past year the Lord was working again on my heart and about the Global Icon series. I keep telling Him, Lord we want to open a Coffee house at some point and we would use these. Again, he pushed and said, hm, don't you trust me to provide for you then too? I insisted Lord, its so hard. Its memories of people and places. Lord it hurts. Ok, I know you are reading this and thinking really Becke? its only a coffee mug right? For me it feels like a little piece of my heart and soul that is attached with a vivid memory of each. Our first house here in Korea we were able to put up the mugs in our coffee nook, and it looked awesome! Then we moved to our current house and there is not a good place to put up the amount of mugs we have. So again the Lord quietly knocks on my heart door and says its time, when are you going to sacrifice. Trust? A few days ago I took out a box, and looked through it, and had images going thru my head of people places and sometimes even smells. WHATS WRONG WITH ME ITS A MUG! So today as I was talking to Dan, I said ok, I think its time to list mugs on ebay. He asked ARE YOU SURE? I said well Lily Hope is so worth it, and really its things. She is our family, and its time to sacrifice. Its as if its a little piece of death in our childless life, giving birth to something greater. With that I took out the first box, and below is what was on the top of the box when I opened it. I just smiled and said ok God! I understand. With that, we have listed 19 mugs up so far to help with the adoption costs! We have already sold 2. Woohoo!!!! Here's to the life lived for God's glory not our comfort. Humbled by the Provisions of the Lord.